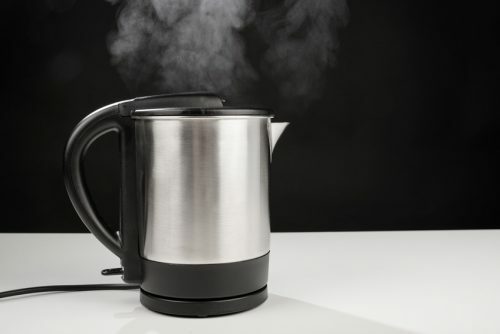 I am sure you know how to boil water in a kettle, but maybe you are not quite sure how to get the temperature just right for your morning coffee or tea. It’s safe to say that boiling water can be done in a lot of ways using a lot of different household items. But there are three ways that you can do this accurately and those usually include a kettle, a stove or a microwave. When boiling water, you also have to take into consideration that water is not just any water, there is a difference sometimes because not all water is safe, which is why it is better to cleanse it first before using it, but boiling does this for you. For instance, cold water and hot water are different when used with a kettle. So as you can see there are many things that you have to consider when boiling water, which is why you have to learn how to boil water the proper way. If you are not sure how you can do this right way, we have made a guide for you to follow, to make boiling water easy. Here’s how. One of the most common ways that you can boil water is through an electric kettle or a traditional kettle. • Step 1 – first things first, you have to make sure that the kettle you will be using is clean and free of any dust or dirt so that the water is not dirty when you use it for your tea or coffee. Read here how to clean a water kettle in the correct way. • Step 2 – you can fill the water with filtered water or tap water, whichever you feel is better to use. • Step 3 – once you have filled the kettle with the water that you choose, fill it until it reaches at least ¾ to the lid. Ensure that the lid is securely closed and that you have cleaned the kettle thoroughly with a clean cloth before using it. • Step 4 – with the power cord, plug the kettle into the socket, and double check if that it is fitted snugly into the outlet, before switching it on. • Step 5 – if you find that everything is in place, and ready to go, you can now press the red button which is the indication to start boiling the water. In some cases, there will be newer types of electrical kettles that you need to press the switch to make it start boiling. When it starts to boil, do not touch any part of the metal around the kettle, as this can burn your fingers. • Step 6 – leave the water boiling for about 2 – 5 minutes. Once it is done, you will see a signal either on the side or in the middle, sometimes you will just hear a ticking sound. This will indicate that the water is ready to use for your coffee. When you take the water out of the kettle, remember to only hold the handle so that you do not get burned. • Step 1 – place the water you wish to boil in a pot, or a teapot, whichever you prefer and place it on the stove. 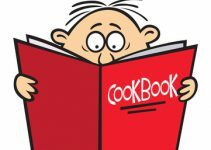 • Step 2 – if you are using a gas stove, make sure to turn on the gas. Once the pot is on the stove, set the fire to your liking and make sure that it is hot enough for the water to boil. • Step 3 – leave the water boiling for about 5 – 10 minutes to ensure that it is hot enough. • Step 4 – after you have boiled the water, you can now transfer it to a cup or a glass or wherever you wish to use it. • Step 1 – place the water you want to boil in a mug or a microwavable container that won’t get damaged by the heat in the microwave. • Step 2 – place the mug in the microwave and set the timer for 3 – 5 minutes, then press start. If you want to leave it in the microwave longer you may do so, but keep your watch on it from time to time, so that the water does not boil too much. • Step 3 – once the water has stopped boiling, you may take out the cup or the mug out of the microwave and put in your tea or coffee. 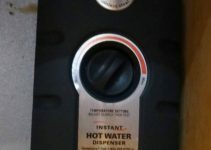 When it comes to boiling water, there are a lot of alternatives that you can do this the proper way as long as you have a heat source. 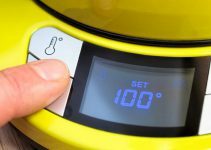 Whether you use an electronic kettle, a stove or a microwave to heat your water, boiling will come easy as long as you know the safety precautions and the proper procedures that you will need to take to make this more efficient. Boiling water can be done by anyone. If you are the type of person that does not have much time in the morning to prepare a cup of coffee or to sleepy to make a cup of tea, an electronic kettle will be your best way out, because it is the easiest piece of equipment to use that will not consume too much of your time when boiling water in kettle. So, with that said, out of all the methods out there that you can use, boiling water is better with an electric kettle.